Clean Title, Clean Carfax, 42k Original Miles. Our customer purchased this 944 Non Turbo from the Original Owner. He bought it in Canada and then moved to California. The mileage is original and in kilometers, we have converted the reading into miles. The original Fuch's wheels have all been refinished and are in new condition. They sport Michelin Premier A/S tires that are new. The suspension is in good shape, the clutch feels good and the ride is smooth. It starts immediately and idles smoothly. The A/C blows cold and the heat blows warm. All of the Lights, Signals, Hazards, Gauges, Locks, Windows, Mirrors, Wipers and Horn operate correctly. The seals and glass are all in excellent condition, it has been garaged its whole life. All of the glass looks to be original or replaced with factory glass except the back window, there is no label on it. The paint in is in excellent condition, we believe it has been repainted due to the fact it meters deep, there are no obvious signs of the paint being redone. The chassis, undercarriage, frame and body panels are all in excellent condition. The upholstery is original as is the carpet, dash, trunk liner etc. They are all in excellent condition, the trunk carpet has some marks on it but nothing major. The tub in the rear hatch is incredibly clean and free of rust, with the original paint being in excellent condition. The doors and body panels all line up correctly with the gaps all looking standard. The sunroof is manually removed and installed easily. 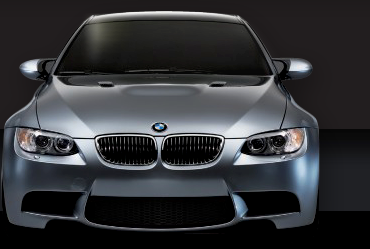 The headlights pop up and go down smoothly, the brights and fog lights also operate correctly. The headlights have protective screens on them. The original stereo was upgraded to a current model Blaupunkt, we do not have the original. We would rate this Porsche 944 an 8 out of 10 and are encouraging anyone looking at it to have a pre purchase inspection done at a local shop or Sunset Imports.